Our personalised labels have been going down well, so we’ve tightened up on the process and can price them attractively at £1.50 a bottle surcharge. A minimum order applies and advance planning is recommended to avoid high shipping bills. 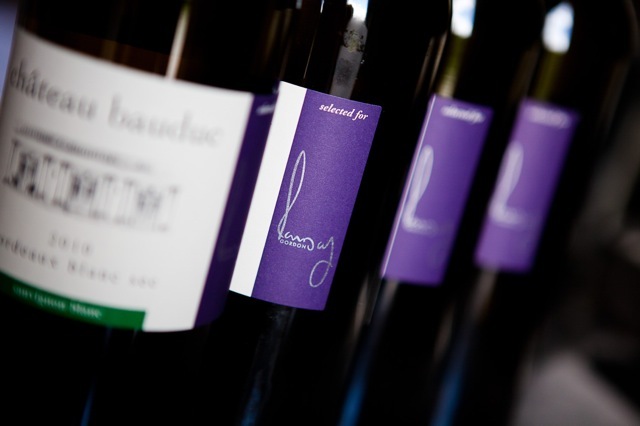 The cost is £1.50 per bottle surcharge, with a minimum one-off fee of £180 – which covers the first ten cases of 12 (120 x £1.50). 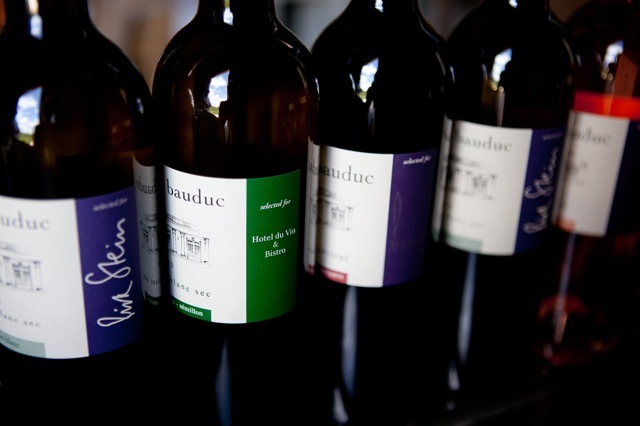 The ten cases can be made up of different wines – white, red and rosé. 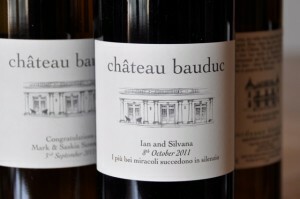 For more on the wines, which cost between £7.95 and £9.75 per bottle in the UK for the regular labels, see here. Essentially, we use the classic Bauduc label, with our special raised print, and can add 3 lines of personal text below the drawing on our label. 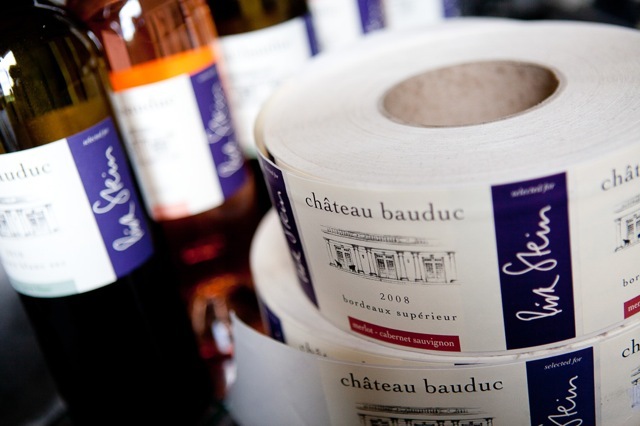 Collection from our Calais depot for large orders is a handy option to avoid UK duty at £2 a bottle, but note that the Calais cost-saving detour is advisable only for private functions, not corporate events. For any enquiries, email Angela on team@bauduc.com. You guys never miss a trick! I love it. Thanks, George. I think we miss several tricks, but no harm having a go.